This is one of the 3 items I baked for Anzac Day. 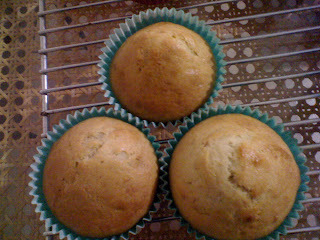 The banana cupcakes tasted great all by itself. I was just trying to used up the 750g jar of Nutella that never seems to finish. This is a lot of work and be prepared and allocate about 2 hours on this alone. Start off by making the chocolate centre. This is simply chocolate truffles that will melt and ooze out as your lava after baking. 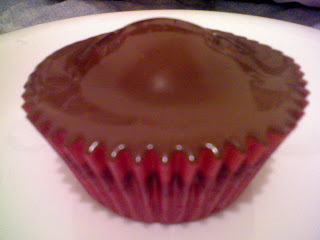 I adapted a chocolate lava filling from here and all I could say is that this filling is a keeper. I tweaked the method a bit and always double it and store it for any use. You could use this when you bake any other muffins or cupcakes really. 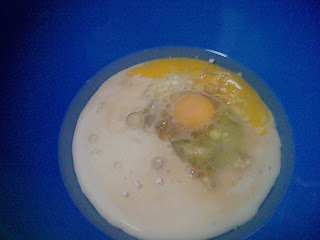 Melt the above ingredients ala Bain-Marie and cool it a bit until you see it becoming thick. 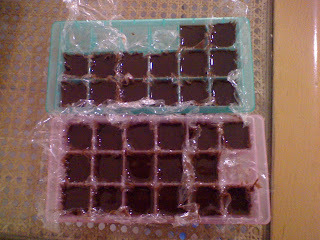 Working quickly, pour this into ice cubes tray lined with cling wrap and fill up the trays. I obtained that much of chocolate centres. It all depends on the depth of your ice cubes tray. Chill it in the fridge and take out when needed. Next, preheat the oven to 170°C and line muffin trays with papercups . 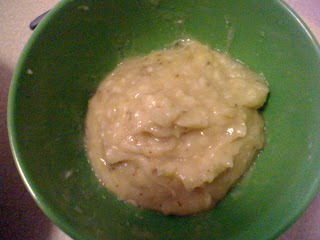 After mixing well, stir in 1 cup of mashed bananas (about 4 large bananas) and stir well. 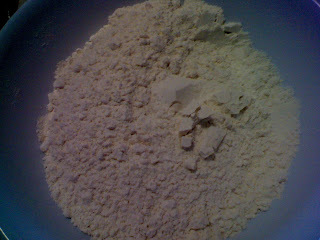 Fold this mixed dry ingredient into the wet ingredient. Next, spoon two tablespoon of batter into each muffin holes. Bake for 25-28 mins until it springs back lightly when gently pressed down. 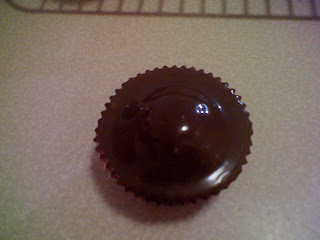 Cool it before finishing off with the Nutella ganache. Cooling process on wire rack. The picture does no justice to it. The aroma that fills the house, it was indescribable. Finally, make the Nutella topping. Combine the 2 ingredients ala Bain-Marie and stir it until it cools to room temperature. Then, pour it onto each cupcake making sure it fills each crevice and indentation. Tap it a little to release air bubbles. The picture below is one with air bubbles. I simply used a fork and prick on any stubborn bubbles I see. 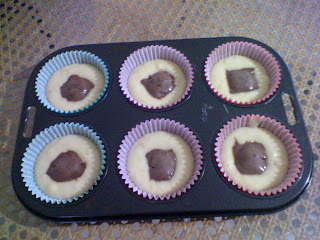 The final cupcake product looks like this. Sorry no picture on the molten center. It finished off too quickly before I could even say 'B-a-n-a-n-a-s' ! 0 comments on "Baking Marathon - Banana Cupcakes with Nutella Ganache and Molten Centre"